Everyone dreams of living on a faraway island and getting away from it all. Boku Slots certainly does at least and with the lovely Lost Island slot game from NetEnt, we were able to do just that. For a little while, in our imaginations, but that counts right? 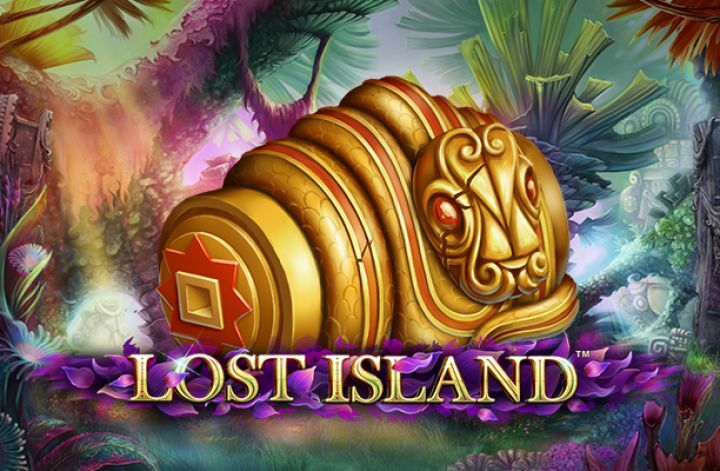 Lost Island is a 5-reel, 20 pay line slot that offers players an RTP of 96.5%. This in itself is quite a healthy return, but add to it the interesting features and you are definitely going to want to stay lost on this island forever. 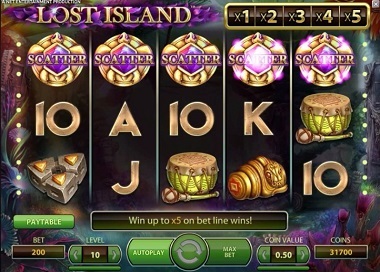 Bet Amounts – Betting on Lost Island begins at jut 1p per pay line, making it only 20p per spin which is very affordable to everyone. You can adjust the coin level and coin value only, which means that the maximum you will pay is £100 per spin. Do ensure you have always adjusted your bet amount to suit your needs before hitting spin. Wild Symbol – A stunning lotus flower is your wild symbol here at Lost Island. It can appear at random anywhere on the reels and every time a wild appears, your multiplier increases a step. The multiplier bar is at the top of the screen. If you have wilds on screen and a winning pay line, your prize will be multiplied by the amount shown in the bar. The lotus wild will substitute for all other symbols except the scatter. Scatter Symbol – Your scatter is a golden tortoise with a purple gemstone embedded in the top of his shell. Three or more of the scatter symbols will trigger the bonus spins feature, but you will also win extra coins if you land 3, 4 or 5 scatters on the reels as well. Bonus Spins Feature – Having landed three or more scatters you will be allocated 10 bonus spins. During your spins the lotus wild will remain on the centre position of reel three, to aid winning combinations. You may also notice there are stacked wilds too randomly appearing at any time, these will give more chances of winning during the bonus spins round. For us Lost Island is lacking a feature or two, although those that are in place are not to be laughed at. It is a well put together slot and with it’s simple to use features and pay tables, a great starting point for those who have never played slots online before. That being said it has a huge fan base with players of all abilities due to its graceful design, beautiful soundtrack and when they happen generous pay outs.